Anyone growing up in the 80s remembers Anheuser-Busch’s Original Party Animal, Spuds McKenzie. Originally appearing in a 1987 Super Bowl commercial for Bud Light, he’s always accompanied by three beautiful “Spudettes” and is always the center of attention. Calm, cool, collected, and never short on girls or beer, Spuds was completely likable and memorable and beer sales reflected it. The commercials were wildly successful showing Spuds dancing, high-diving, playing drums, pole vaulting, and even ski jumping. By 1988, he helped Bud Light, which was introduced in 1982, soar to the number 3 spot of all beer sold in the U.S. Most memorable (at least for me) was at the end of each commercial, one of the supermodels always had a suggestive compliment for Spuds, which he always took in stride. Good Boy! Robin Leech (of the popular show ‘Lifestyles of the Rich and Famous’) provided the voice over’s, which contributed to the image of “living the good life”, not to mention the “coolness factor”. The commercials with Spuds, who was actually a female Bull Terrier named Honey Tree Evil Eye, continued their popularity with millions of bottles of beer sold in American grocery stores along with countless t-shirts, glasses, mugs, key chains, and beach towels. His extreme adoration, however, led to his demise. Mothers Against Drunk Driving began a nationwide protest against Anheuser-Busch claiming that Spuds popularity with children lead to an increase in under age drinking. Complaints were filed with the FCC and an investigation was launched. Although the FCC found no proof of Spuds delinquency of minors, the public relations damage had been done. Anheuser-Busch began to fear that Spuds popularity and new notoriety may be overpowering the Bud Light brand. That, along with the MADD complaints, led to the decision to retire Spuds from commercials in 1989. Looking for a replacement and a character that wouldn’t overshadow the product, Anheuser-Busch turned to the product itself and unveiled Bud Bowl I during the 1989 Super Bowl. These unique ads featured bottles of Bud Light and Budweiser playing each other in a football championship. The spots were created using expensive and time-consuming stop-motion photography. (This was before computers were technically advanced enough to handle this type of animation.) Each game provided lots of drama, last-second heroics, comedy, and, to the delight of Anheuser-Busch, hundreds of shots of the product. Despite the intense labor and cost involved, the commercials were a huge hit and the consumer response from Bud Bowl I was an unprecedented 17% spike in Budweiser sales that month. The following year Bud Bowl II continued on the popularity and brought a spike of 19%. In 1992, Bud Bowl IV brought in an unbelievable 46% increase in grocery store sales. Kitschy and cool, each year brought more game-within-the-game Bud Bowl commercials, characters, celebrities, and highlights. It was Anheuser-Busch’s most successful campaign ever. However, by 1999, consumers had become weary of the annual contest and Anheuser-Busch ended the campaign. Later Super Bowls featured the Bud-weis-er Frogs and the “Whassup? !” guys. 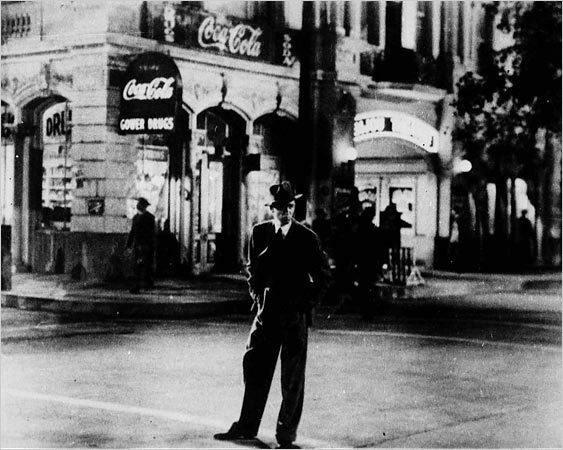 Each was extremely popular, instantly recognizable by a majority of Americans, and spawned numerous commercial sequels. But they failed where it mattered most, as neither managed to increase sales quite as well as Spuds and Bud Bowl did a few decades ago. Shortly after, the campaigns were ended. So the search continues for Anheuser-Busch for the next great spokesperson, or frog, dog, or bottle, which will propel sales during the Super Bowl once again. Tune in next year! This entry was posted in Uncategorized on June 1, 2009 by accel. Can Quality Creative Really be Crowdsourced? Crowdsourcing creative is fast becoming a part of the design marketplace. For those unfamiliar with crowdsourcing creative, it’s a way of throwing out a project to a worldwide pool of persons who practice a particular discipline, say graphic design, and in return you get creative submissions from artists with a wide range of experience levels and talent. You choose which concepts to pay for and negotiate a price. The turnaround is fast, and you wind up with lots of submissions to choose from. While at first glance, it may seem like a foolproof and cost-saving way to get your creative done, but there are a few pitfalls you will want to avoid. Get genuine original creative. When you crowdsource, you never know from where the artist or writer drew his/her “inspiration”. Be sure to have the artists certify in writing that the materials they provide to you are original to them. When in doubt, make sure your legal team earns their keep. Not all submissions can be treated as equal. You may receive submissions from a hack, to an art school drop out, to an art director with twenty years of experience. Crowdsourcing is like Forest Gump’s big box of chocolates, you never know what you’re going to get. You will need to do a comprehensive and fully explanative creative brief. The old saying, “Garbage in, Garbage out,” certainly applies to crowdsourcing. This is where agency experience and expertise alleviates this pain point. Don’t expect wonderful work. Unless the submitting artist has intimate knowledge of your brand, marketing challenges, and assesses your needs in professional consultation, you will most likely wind up getting results based on guesswork and whimsy. This is why so many professionals shy away from spec work. You simply can’t produce on-target creative without full development and consultation. Some marketers report that crowdsourcing creative has worked well for some projects. And there are plenty of successful websites offering this concept to substantiate the results. Artists that I know who have participated in the process report that it is like doing spec work on steroids, where the number of submissions for a single logo project may number into the hundreds, and the artist gets paid less than minimum wage for the amount of time they put in on the job, that is if the submission is even picked. Crowdsourcing is here to stay. It will be up to each marketers ability and conscience to determine if / when crowdsourcing creative should be employed. What do you think about crowdsourcing? Comment below. This entry was posted in Uncategorized on May 7, 2009 by accel. Has anyone seen the latest commercial from General Motors? It’s difficult to see but they use the “rally cap” as their metaphor for the ad. If you’re not familiar with the rally cap, it’s a baseball superstition that started, I’m guessing, back in the 80’s. If your team was behind in the last inning, the fans would turn their baseball caps inside out and wear them that way. It showed solidarity among the fans to hopefully give their team a little extra luck to rally back and win the game. The commercial shows the usual All-American lifestyle vignettes of people out and about but wearing their caps inside-out. The voice over talks about making a big comeback. It talks of new payment protection plans, financing, and warranties. The thing that I wonder when I watch this is who are they trying to rally: the consumer or themselves? Are they saying that we are about to lose the game (and declare bankruptcy) unless America rallies and buys their cars? Or, are they trying to tell themselves that they can make this comeback? And do most consumers even know what a rally cap is? Do the offers resonate with the consumer? To me, it sounds more like a threat than a sales pitch. In this economy, and especially after the bailout, consumers don’t want to see a shiny, high-budget commercial made by out-of-touch executives and a clueless ad agency telling them to “rally”. Do consumers losing jobs and homes really want to see slick pricey cars, surfers on the beach, valet drivers, and Michigan Ave shoppers with their caps on inside out? I think consumers want to see something of substance and change. Not the same old, same old. How about an ad that simply says, “We’re cutting the cost of all our cars by 30%”, or, “Hey, we’re listening and we’re changing the way we do business”, or even, “ Let’s do this together, America.” I think a little honesty and less pandering would go miles in the hearts of consumers. In 1984, Lee Iacocca stood in front of the camera in a factory, looked you in the eye, and used straight-talk to explain the products, explain the company goals, and tell consumers what they wanted to hear. It was done low budget and to the point, which resonated well with the audience and was a very successful campaign. Which do you think works better? This entry was posted in Uncategorized on April 14, 2009 by accel. Pop Rocks, Pop Culture, and Life. Nothing seems to entertain more than those mini movies on TV that we call commercials. Commercials are so loved that even 20, 30, or 40 years later, people fondly recall their favorites from childhood, or even the new favorite viewed just the night before. I most fondly recall the commercials from Saturday mornings when I would sit on the floor in front of the TV, watching cartoons in my pajamas. Mind you, this was way back when there were only 4 channels and the commercials were as much part of the fun as the cartoons! Personally, my faves include: “Plop, plop, fizz, fizz!”, “How many licks does it take to get to the Tootsie Roll center of a Tootsie Pop?”, “Ancient Chinese Secret!”, “You got your chocolate in my peanut butter!”, and “Hey Mikey, he likes it!”. That classic Life Cereal commercial where the older brother yells, “Hey Mikey!” was so memorable in so many ways because every kid could relate to it. A food that mom wants you to eat because it’s healthy, a friend who dares you to eat it, and then the pass off to the ignorant little brother who gulps it down because he doesn’t know what healthy is. And, guess what… he likes it! The commercial was so popular, it was named, “One of the 50 Greatest Commercials of All Time” by TV Guide! I mean, I know I fell for the marketing and begged for Life Cereal when I was a kid. The funny ending to this story is about the supposed fate of Mikey. According to urban legend, Mikey ate a packet of Pop Rocks, chugged a Coke, and died when his stomach exploded. I’m not sure how or when this rumor started but I remember hearing it a number of times as a child and even today. People love these types of stories. However, it’s all untrue. “Mikey” or John Gilchrist, the actor, is alive and well and is now a radio ad executive in New York (which I think is quite the fitting profession for a pop culture icon). General Mills, the maker of Pop Rocks, tried for years to dispel the rumors. Their customer service line took untold numbers of calls from nervous parents asking about the tale. In 1979, General Mills, desperate to quell the rumors, took out full-page ads in 45 major publications across the country, wrote 50,000 letters to school principals, and sent the inventor of Pop Rocks on a PR tour to explain their safety. The rumors had done their damage, though, and by 1983 General Foods stopped marketing Pop Rocks. In 1985, Kraft bought the rights to the product, initially marketing it as Action Candy before reverting back to the original Pop Rocks name, where it now seems to be doing well on super market shelves. Perhaps the new generation of children do not know or remember Mikey, his “Life”, and his supposed fate. Although as recently as 2006, new rumors have popped up about a child in Brazil who died after swallowing Mentos followed by a Coca Cola chaser. These have not been proven to be true either. Whatever the case may be, this is all a telling tale about how much brands can be helped or hurt by things out of their control and how much they become a part of the pop culture, good or bad, whether they want to or not. And as a side note, it’s funny how Coca Cola didn’t seem phased by the hype. They never addressed the issue or seemed to be damaged at all by the stories. Maybe they are so big, such a large pop culture icon, and loved so much by Americans that no one wants to believe that they can do harm. Except to them selves… New Coke – 1985, but that is another blog altogether. Hey, thanks, Mean Joe! This entry was posted in Uncategorized on March 20, 2009 by accel. Wake up marketers! It’s a world where the inmates run the asylum and you’d better learn how they do it! For decades now, marketers and brands have enjoyed the power to craft their messages and dictate how consumers should view their products. 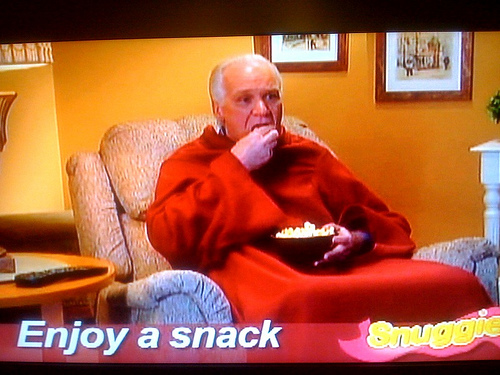 One need only to do a quick Google search for, “The Snuggie” to see how consumer driven content can benefit or damage your marketing efforts. This entry was posted in Uncategorized on January 26, 2009 by accel.